As an avid drama viewer, I kept looking at the same places where drama characters spend their morning, afternoon, and night. And below, my friend, are those places. Mini market has become the place where the drama heroines often spend their time in. Whether it is only to buy and eat a cup ramyeon. I’m a hundred percent sure that Koreans love drinking coffee. It can be seen from the regular appearance of coffee shop in k-dramas. In fact, some of drama fans tend to visit coffee shops just to “experience” what it is like to sit and drink coffee in a coffee shop just like their favorite drama characters have done. What place you choose to go on a first date? Well, k-drama characters often choose Cinema. This place have become a silent witness to the flirt, awkwardness, and being dumped on the first date, just like what Si Jin did to Mo Yeon long time ago in Descendants of the Sun. 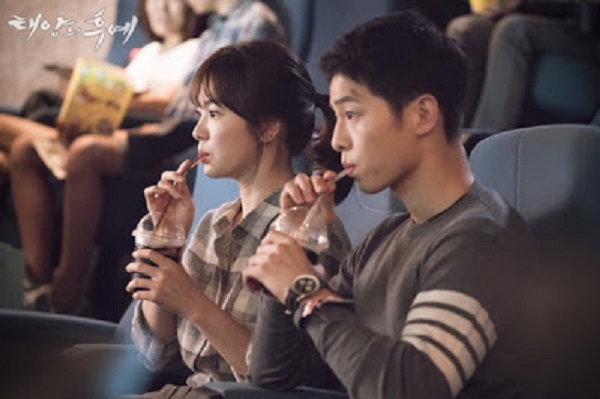 If the first date develops into something more meaningful, the kdrama couples often choose to spend their second or next dates in a fancy restaurant. Many drama characters chose to vent their frustration and anger by drinking. And a place where they often go to do such “ritual” is no other than the closest tent/ food cart to their office or house. A busy ahjumma will always be there to give out bottles of soju and muscle soup for accompanying them while grumbling about their never-ending problems. 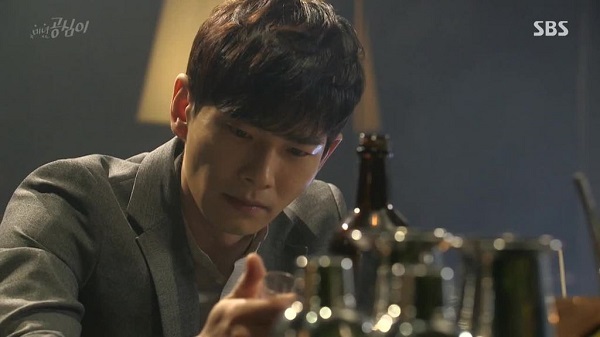 And if the drama characters are having more money, they chose to go to a fancy bar with fancy music and chair. In this place, instead of having an ahjumma serving them, they will be served by a handsome bartender. And instead of having soju and muscle soup at the table, they will have a glass of vodka and a plate of fresh fruit or peanuts. Yes, I’m looking at you Suk Joon Soo. 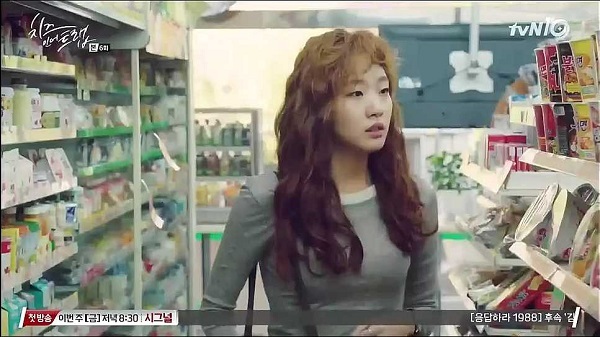 Many k-drama heroines need a makeover. And place where they go to do such practice is department store or high end boutique. But, aside from being the “makeover” place, department store also often becoming the workplace of k-drama characters. Take Lee Hae Joon in Come Back Mister for example.